Walter's are pleased to present this Executive Detached House situated in the popular uphill area of Lincoln. 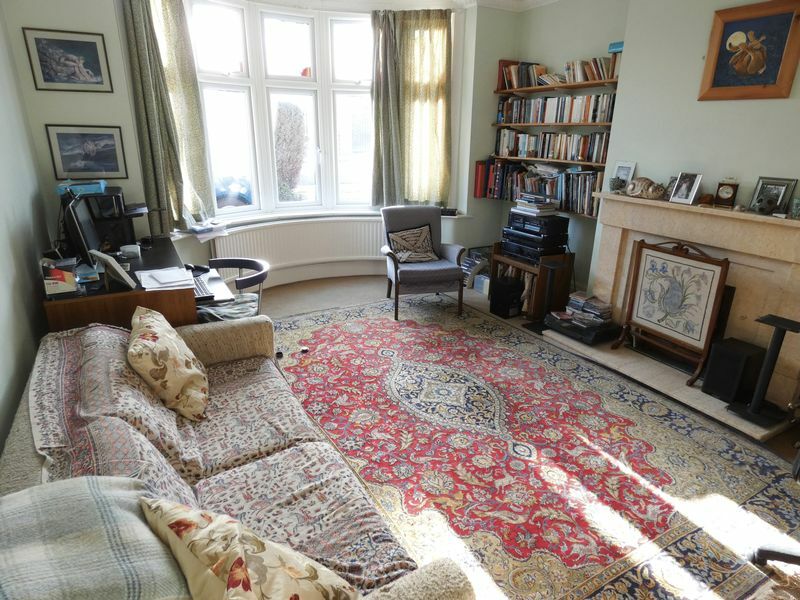 This spacious property briefly comprises of Entrance Hall, Study, Sitting Room, Dining Room, Kitchen/Breakfast Room, Utility, Conservatory, WC, Master Bedroom with Study, Three Bedrooms, Bathroom and separate WC. 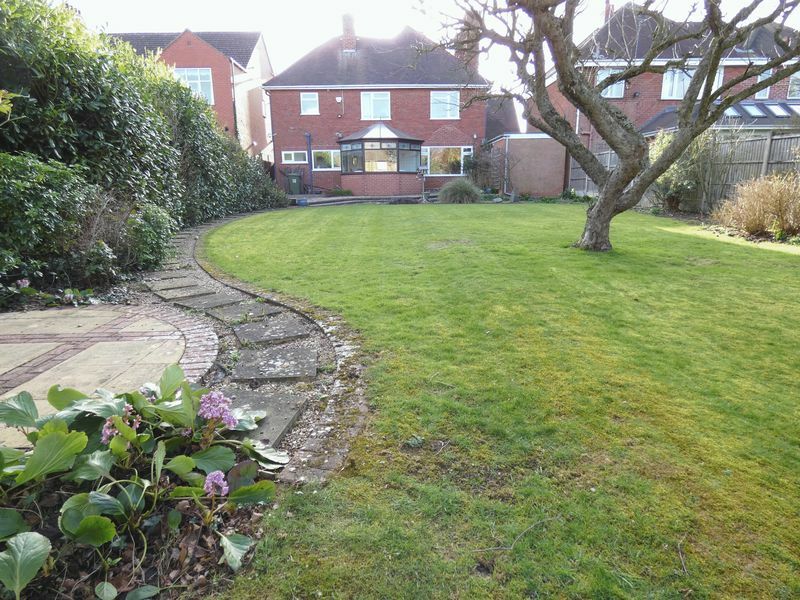 Further advantages include off street Parking, Garage, Front & Large Rear Gardens. 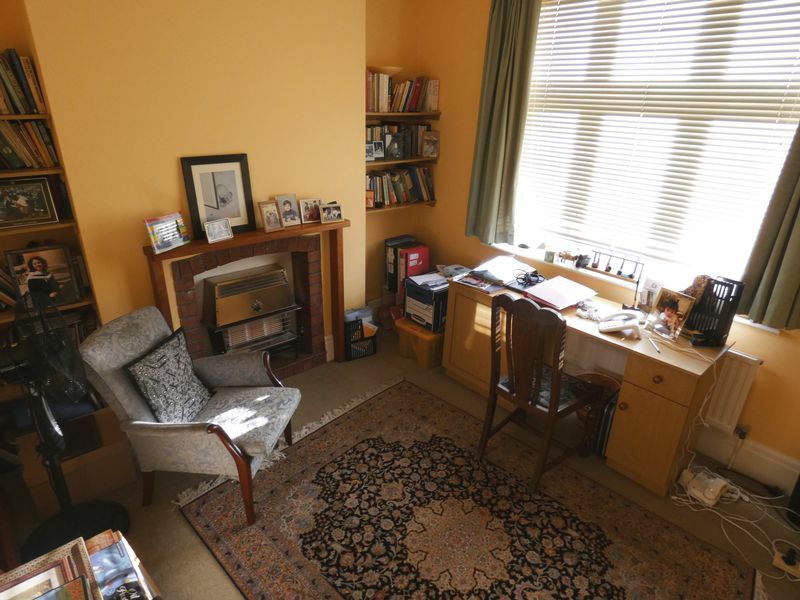 Approached via uPVC wood effect front door into spacious hall, with doors to the study room, dining room, living room and Kitchen/Breakfast Room. Spindle staircase rises to the first floor landing, with storage cupboards beneath. With W.C, wash hand basin and window to rear aspect. 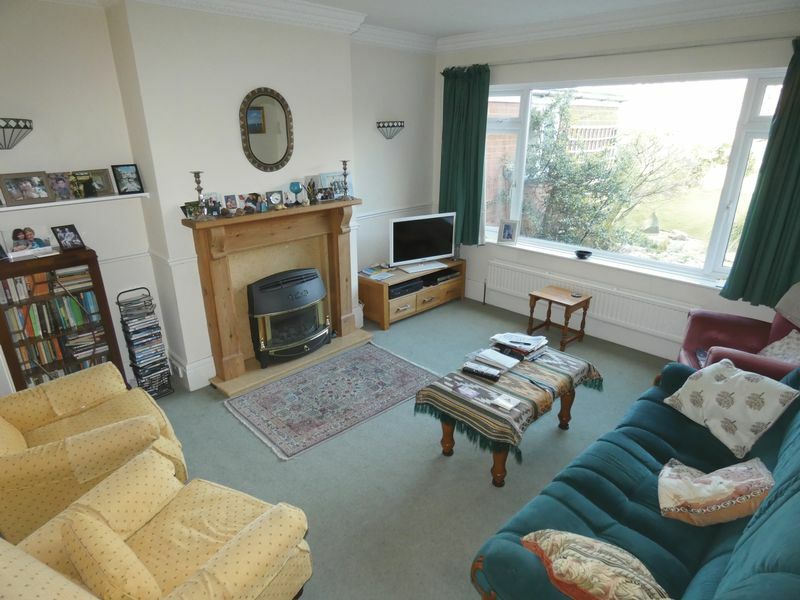 Complete with gas fire and brick fire surround, window to front aspect, coving to the ceiling, radiator, power point and two wall mounted uplighters. Having uPVC double glazed bay window to the front aspect with lead and coloured effect glazing to top panes, gas fire with marble fire surround and hearth, radiator, coving to the ceiling and shelving. Having uPVC double glazed window with views over the garden, living flame gas fire with pine fire surround, radiator, power points, wall lighting, coving to the ceiling, two wall mounted uplighters and two spot lights. 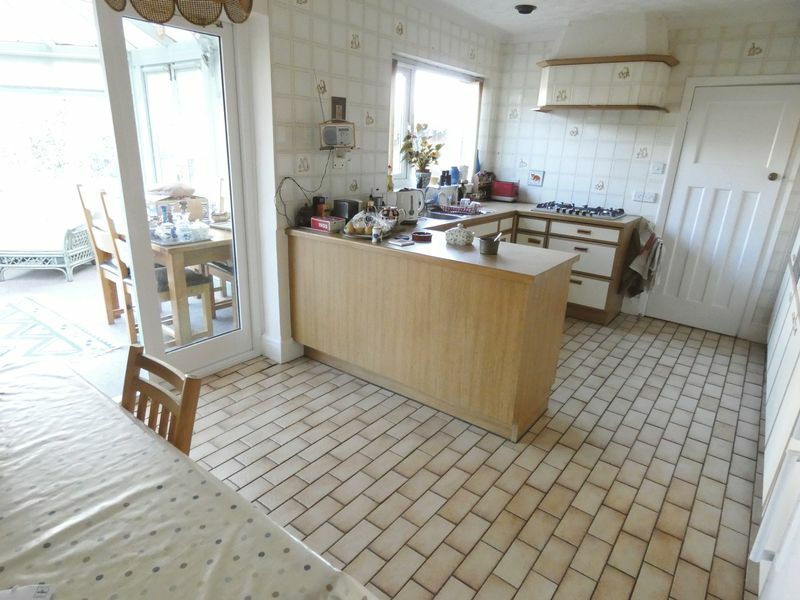 Well appointed Breakfast Kitchen Room with door leading into the conservatory and utility room. Window to the rear aspect and tiled floor. 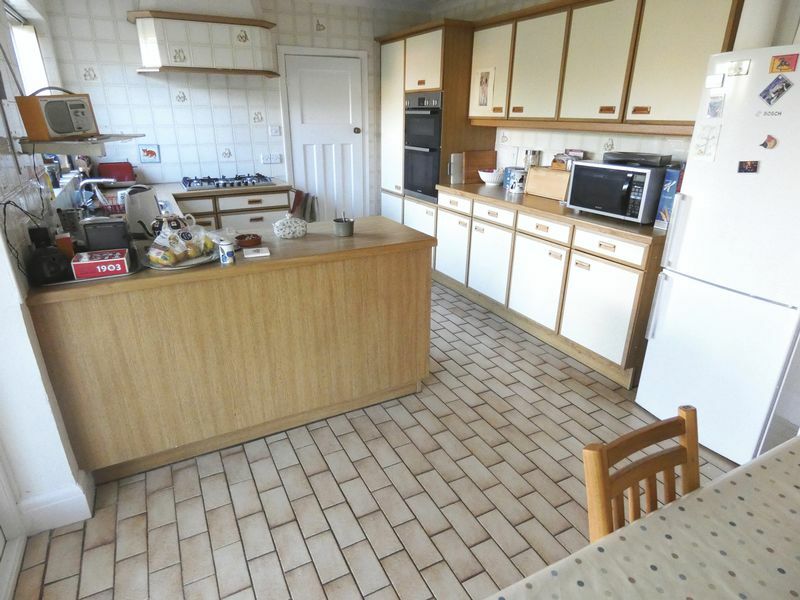 The kitchen area offers a range of wall and base mounted units with stainless steel sink and drainer unit, tiled splashbacks with rolled edge worksurfaces, five ring gas hob with electric oven and grill ,extractor hood over cooking space. 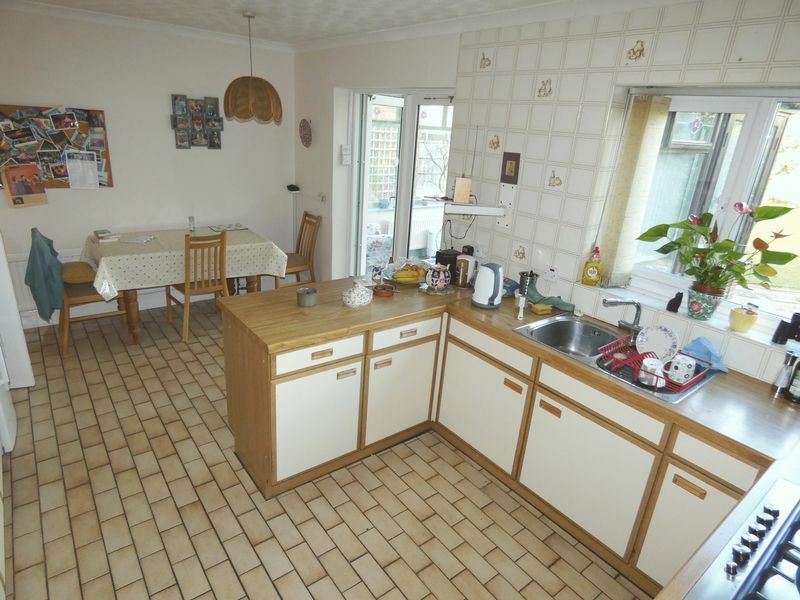 Further benefits include peninsular breakfast bar with space for seating, the breakfast room has coving to the ceiling, ceiling light point and tiled floor. Offering base level units, space and plumbing for appliances, window to side aspect, door leading to the outside and unit housing central heating boiler. 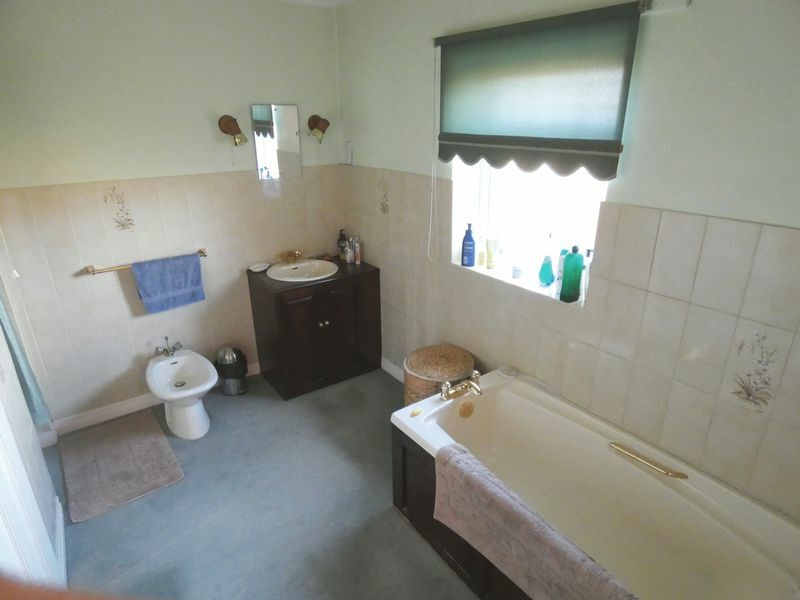 With W.C, wash hand basin, window to rear aspect, tiled floor and radiator. 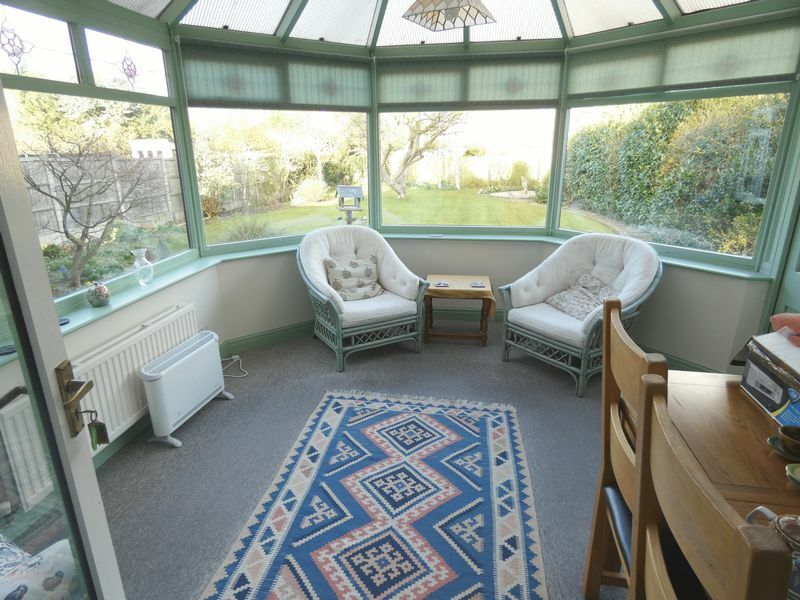 Overlooking the garden with radiator, ceiling light point, two wall mounted uplighters, power points and double doors to the rear garden. 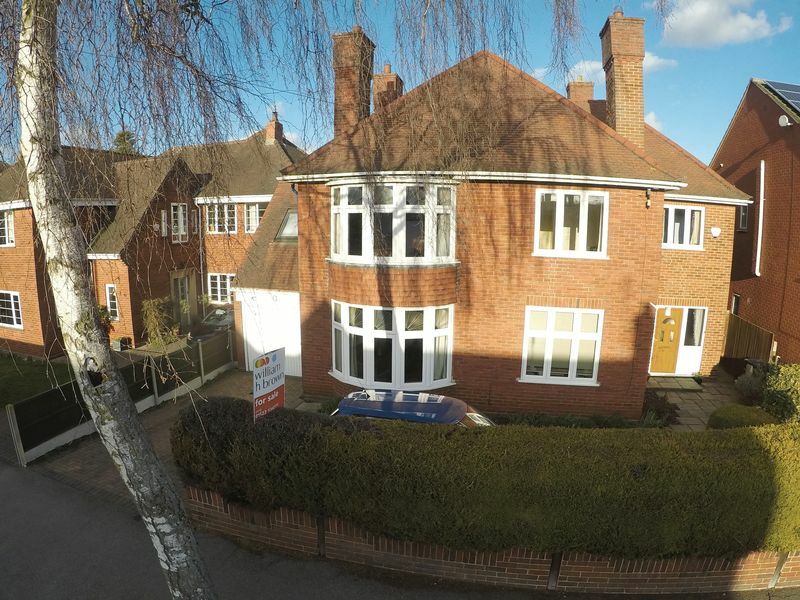 Galleried landing with window to the front aspect, doors to all four bedrooms, family bathroom and separate W.C. With loft access which is part boarded and insulated and built in airing cupboard. 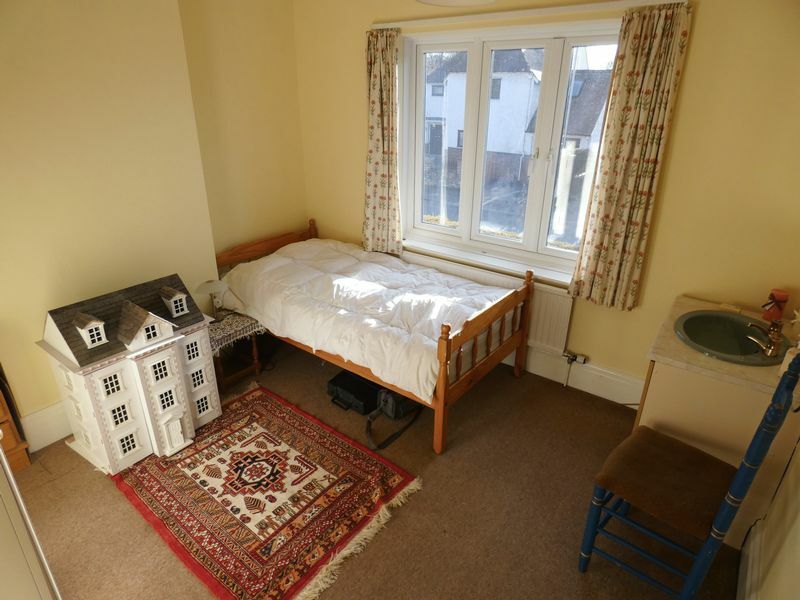 Double bedroom having uPVC double glazed bay window to the front aspect with coloured lead effect glazing to top panes, vanity sink unit, picture rail, radiator, ceiling light point, sockets and door leading into the Dressing Room/Study. With velux window to the front and lighting. 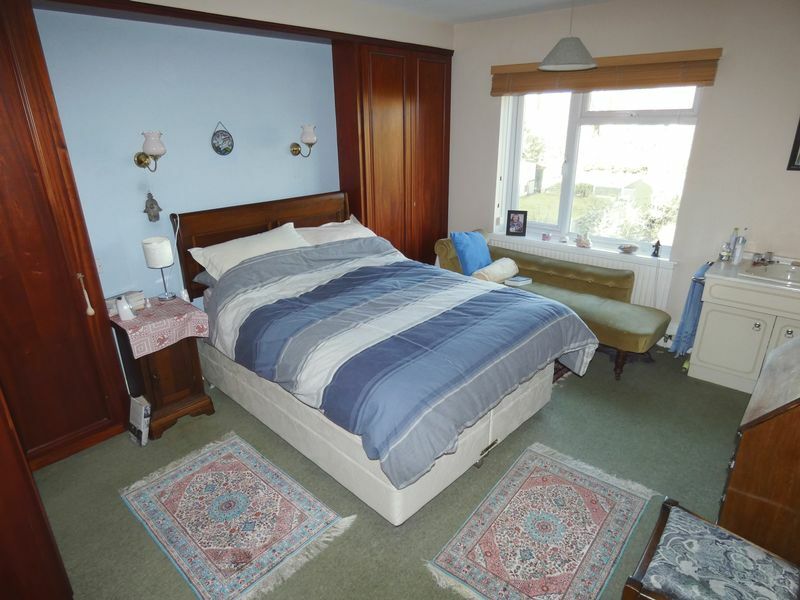 Double bedroom with uPVC double glazed window to the rear aspect, radiator, power points, fitted wardrobes, lighting over bed space, ceiling light point and vanity sink unit. 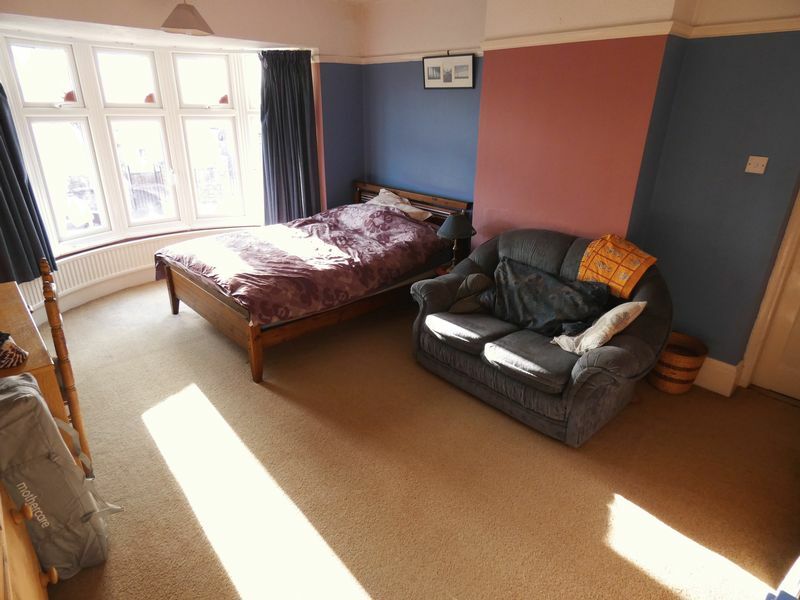 A double bedroom with uPVC double glazed window to the rear aspect, radiator, ceiling light point, sockets, fitted wardrobes and vanity sink unit. A double bedroom with uPVC double glazed window to the front aspect, vanity sink unit, radiator, sockets and ceiling light point. 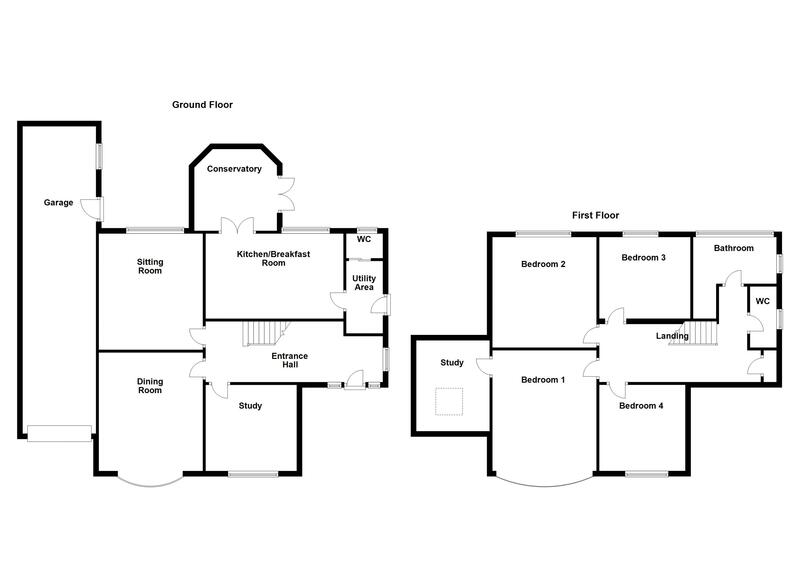 With uPVC double glazed window to the rear and side aspect, panelled bath with separate shower cubicle, pedestal wash hand basin, WC, bidet, extractor fan, radiator and coving to the ceiling. With space for two cars, up and over door to the front, window to the side, power and lighting. To the front of the property there is a sweeping block paved in and out driveway giving parking for multiple vehicles, perimeter hedging border, planting, path leading to Entrance and pedestrian access to side. 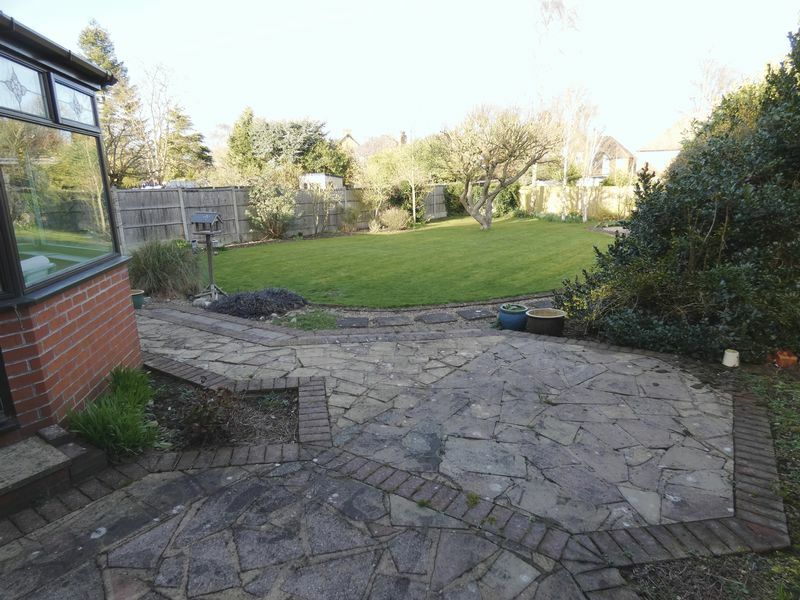 The rear garden has a raised block edged patio area with shaped lawn, mature trees, shrubs, gated side Entrance, perimeter fencing, open aspect to the rear, further patio to the bottom of the garden approached via sweeping path. 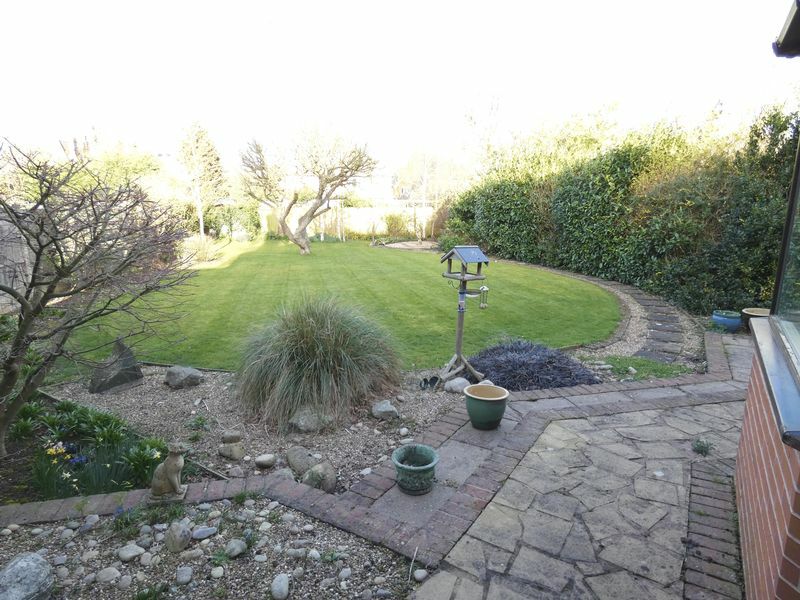 The garden is ideal for entertaining and offers a secluded and relaxed environment for any family to enjoy.